Philosophy: Learning flourishes in an environment of disciplined inquiry that develops and integrates knowledge and skills. The best learning occurs in an environment that is rich in resources, provides opportunity for active participatory learning, and stresses responsibility and initiative. Learning is achieved through a clear integration and alignment of curriculum, instruction, and assessment. Approach: The UCSD Board of Education requires the use of the Systems Approach to Continual Improvement. A Systems Framework that addresses Leadership; Strategy; Customers; Measurement, Analysis, and Knowledge Management; Workforce; Operations; and Results is used throughout the system to align, systemize, monitor, and improve results. 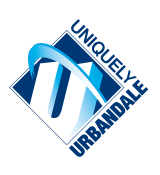 Vision: Urbandale will be a school district that brings learning to life for everyone. Access and analyze key information to develop solutions and persevere through complex problems. Purposefully communicate ideas through visual, digital, verbal, and nonverbal interactions. Innovate to generate new or original thoughts, interpretations, products, works, or techniques. Work collaboratively among and across personal and global networks to achieve common goals. Respond and adjust to situational needs. Prioritize, plan, and apply knowledge and skills to make decisions that create quality results in an every-changing environment. Demonstrate cultural competence and social responsibility.